Home Page // Posts tagged "folklore"
September was a bit crazy with our move and dealing with Bell Aliant in the great internet and phone capers, but I’m back online (yay!) and catching up in various areas. We’re so happy to be living in Moncton! While I love the country, I admit I missed the convenience of life in a small city. That and there’s a lot of maintenance (which means more money spent) involved in rural life. At least, this was our experience. Sure the people above us sound like a small herd of elephants somedays, but I still love our little apartment and am happy to be here. Anyway, enough babbling. 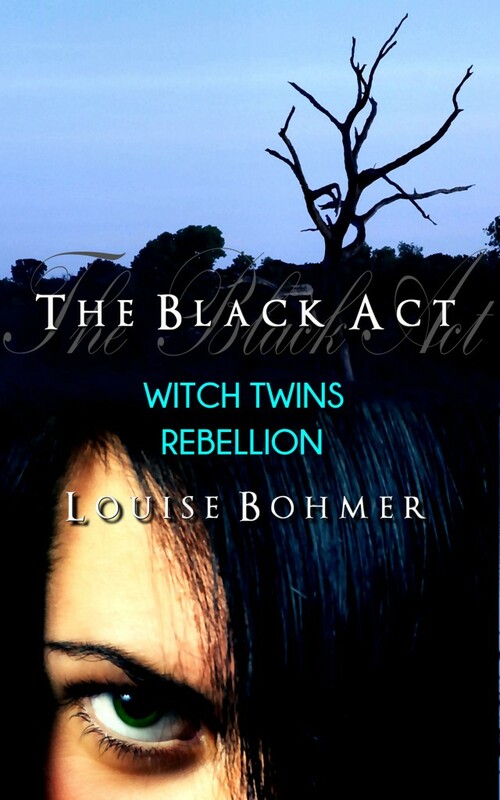 On to the cover reveal for The Black Act Book 4: Witch Twins Rebellion. I will have this released by the end of September. 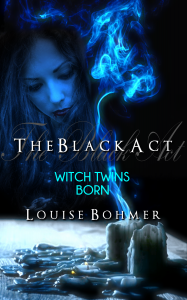 And don’t forget you can grab Book 1: Witch Twins Born for free at Amazon US, Amazon CA, Kobo, and Smashwords, or you can download the PDF here on The Black Act page. Thanks for making it #5 in Fantasy / Coming of Age, #7 in Sword & Sorcery, and #19 in Fairy Tales! It’s appreciated. 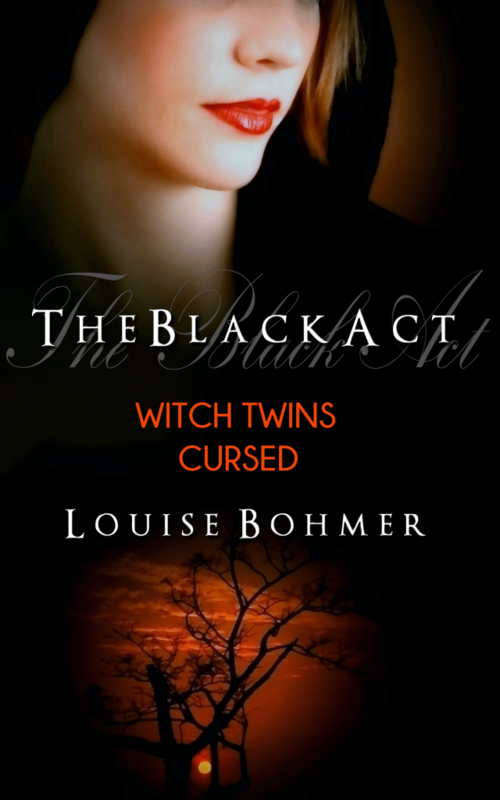 Book 2: Witch Twins Secrets and Book 3: Witch Twins Cursed are now available at Amazon, Kobo, Barnes & Noble, and Smashwords for under $1! Click the links here to grab your copies, or click the book covers below for more details and a full list of buy links. Today we have a wonderful visitor in the forest. S.P. Miskowski has dropped by to tell us about her new Omnium Gatherum Media release, Delphine Dodd. Please peruse the eerie excerpt below. But, first, a bit about S.P. Miskowski. S.P.’s Bio (taken from her site): Author of the novel KNOCK KNOCK published by Omnium Gatherum Media and shortlisted for a Shirley Jackson Award. 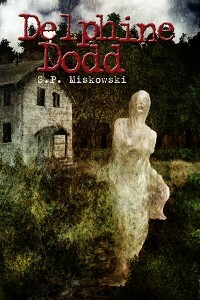 Three related novellas are forthcoming from Omnium Gatherum beginning with DELPHINE DODD in 2012. My short stories have been published by Supernatural Tales, Horror Bound Magazine, Identity Theory, Other Voices, The Absent Willow Review, and in the anthology DETRITUS. I am a member of the speculative fiction group Wily Writers. One of my scripts, “my new friends (are so much better than you)” was nominated for a Steinberg/ American Theatre Critics Association New Play Award and will be adapted as a Web video project in 2012. As an undergraduate I won two Swarthout prizes for short fiction and edited a quarterly small press magazine. I earned a Master of Fine Arts at the University of Washington and received two National Endowment for the Arts Fellowships, for short fiction and drama. Our summer weather varied. We might have two weeks of sunny days and suddenly the rain would return, cold as early spring. On one of these unseasonable days it just so happened that I had to walk to the sanitarium by myself. Olive lay in bed with a slightly elevated temperature, probably nothing but the change in barometric pressure, but you could never be sure. Eve Alice decided to stay home and keep an eye on her. The mist had risen from the forest floor. A thin fog drifted across the stream and gently distorted its natural shape, making it tricky to follow by sight. My view of the ridge opposite was intermittent. Then the ridge faded altogether. I was careful to stick close to the path I knew, my shoes clicking on the pebbled shore. About two thirds of the way, as I passed a cluster of exposed roots jutting from the bluff on my side of the stream, I had a feeling that someone was watching me. I glanced around but didn’t see any crows. The woods and the ravine could be eerie at certain times of day. Once, early in the morning, Olive and I had seen a wolf drinking from the stream. It raised its head, gazed left and right with shocking gray-blue eyes, lowered its snout, and went on drinking. None of the animals we encountered ever showed an interest, and I never went anywhere without my leather pouch with the tiny jawbone inside. Olive had to be reminded. “It’s because of the witch finger,” I told her. “I’m not scared of wolves, or you,” she whined. “If you don’t do as Eve Alice said, the lampreys will eat you,” I told her. That did the trick. The morning I went alone to the sanitarium, there were no wolves or bears. I caught a glint of light from the water and turned, but no one was there. I walked on. The sensation of being stalked grew with every step. I wanted to turn again, to assure myself that I was wrong, but I couldn’t make myself look. People often told me I was a sensible girl. Olive was pretty, they said, and I was sensible. I drew on all of my good sense to shut out the uneasiness, but the further along I walked, the stronger it grew. Where I was felt too far from home and too far from my destination, to run. Without meaning to, I found myself staring down at the good luck charm around my neck and wishing I knew a prayer or a chant I could repeat. I must have said this a hundred times, faster and faster as the fear rose up and I felt the cold mist sweep against my back. I huffed and puffed all the way up the crisscrossing terraces, stomping with every step to make sure of my footing, feeling against my chest the pouch with the charm inside, and clutching the jug with both hands. Up the final steps, out of breath, still chanting the words, I climbed until the garden was almost at eye level. With a final hop I was standing at the edge of the garden, and there I stopped dead. Amid the drifting fog and the ruins of untended rose bushes a gray-white figure emerged. Its shroud clung to jutting bones, and tangled in a mass at the ankles. Stark feet stuck out below the shroud. The figure hung there for a second then started to rotate, so slowly I had time to feel the hairs rising on my arms. 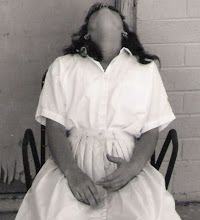 Once it faced me I could see its mouth hung open, silent, with long strands of spit on either side. I dropped the clay jug, spilling all of its contents. The warm liquid hit the ground and steam rose from the spot. I stood frozen, staring. The figure gave a little jerk of its head and seemed to notice me. It headed in my direction with one shoulder thrust forward and the shroud catching at its ankles with every step. Without a thought in my head I screamed. 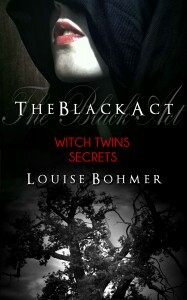 Click the book cover or link above to order a copy!